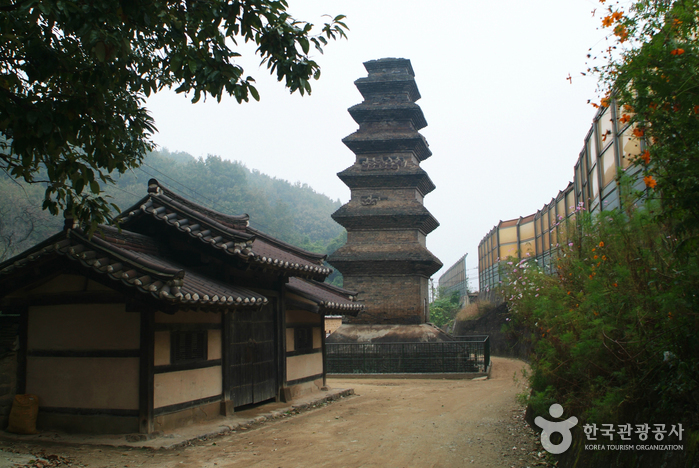 Designated National Treasure No.16, this is Korea’s oldest and largest stone pagoda. 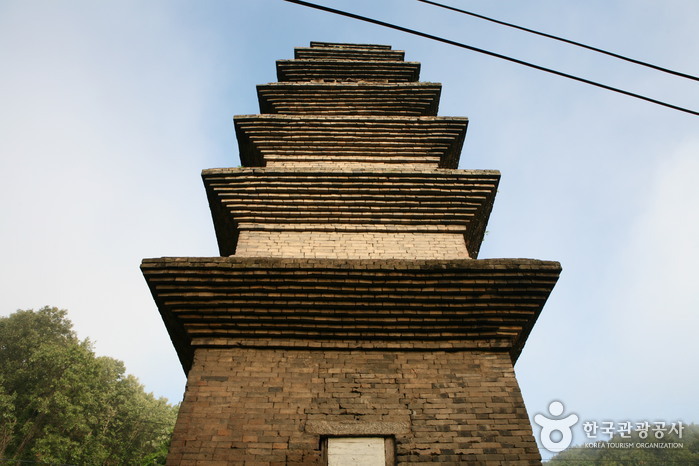 The pagoda measures 16.8 meters high with a width of 7.75 meters. 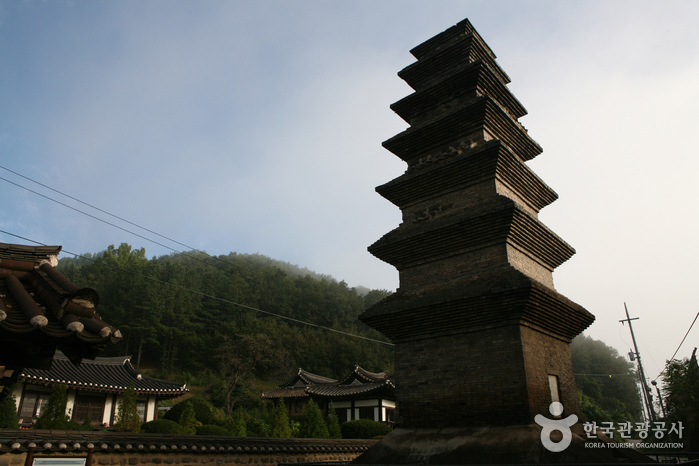 The pagoda was originally built at Beopeungsa Temple during the eighth century of the United Silla Kingdom [654~935] and is the only remaining relic from the temple. 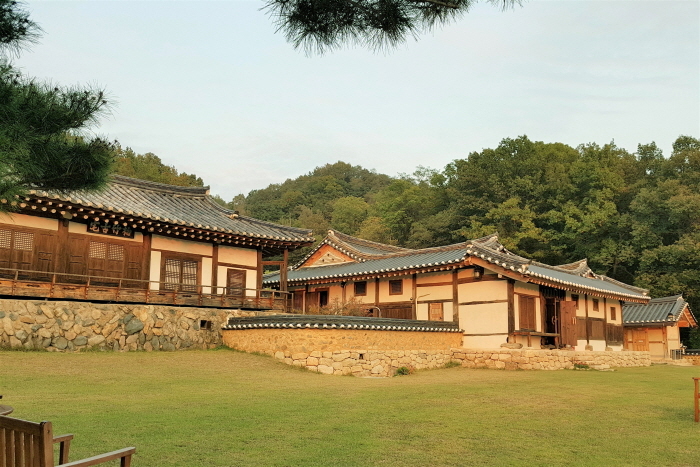 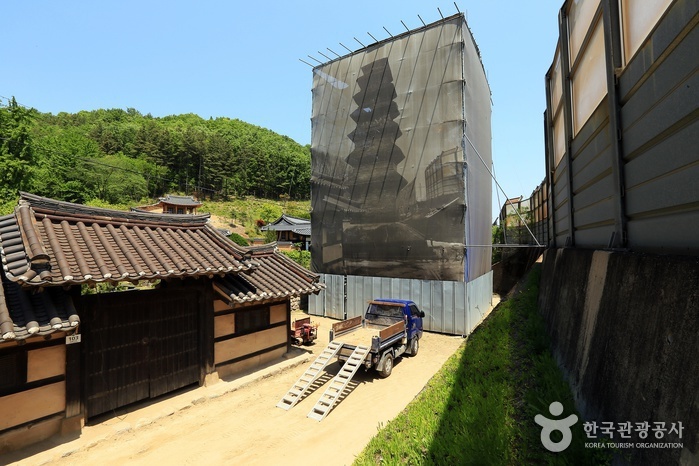 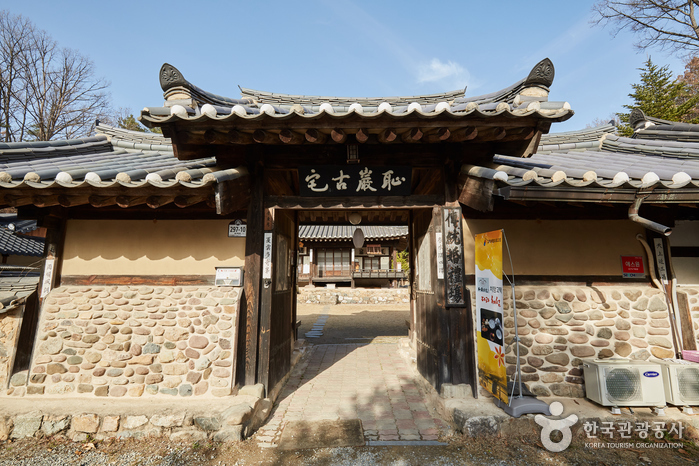 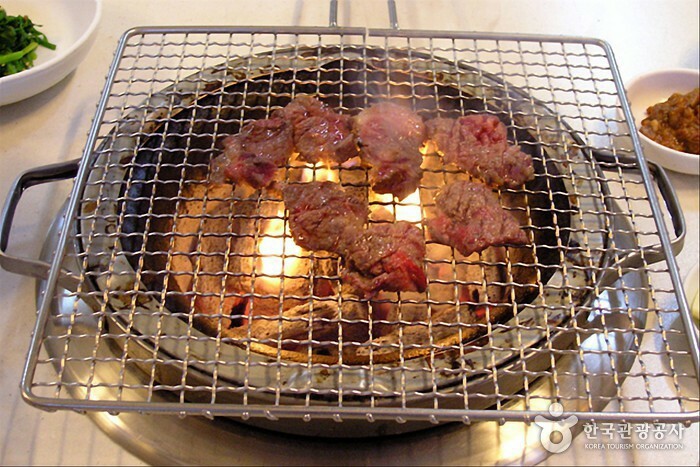 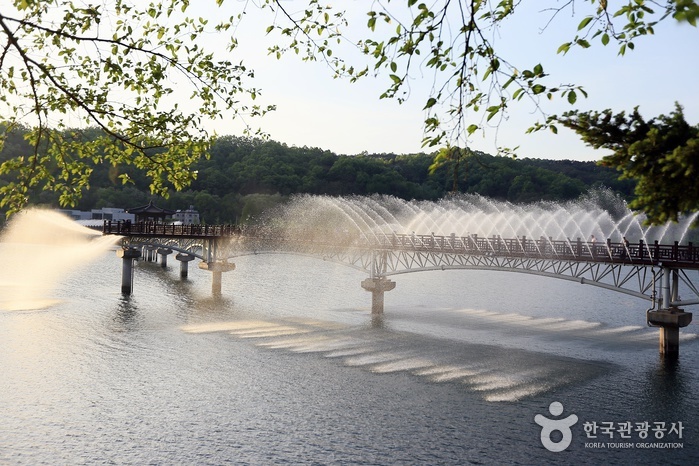 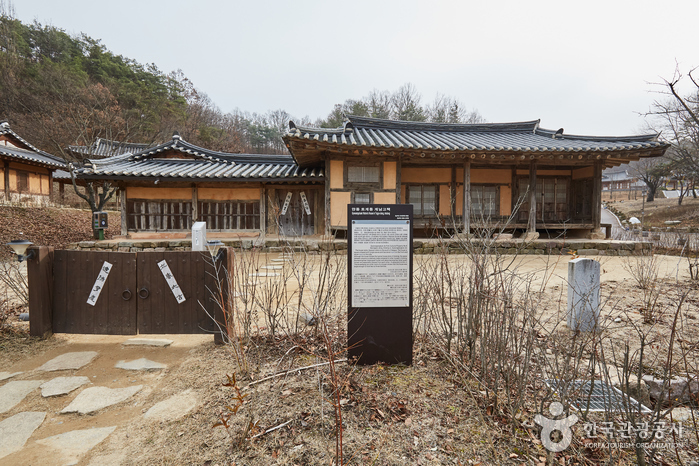 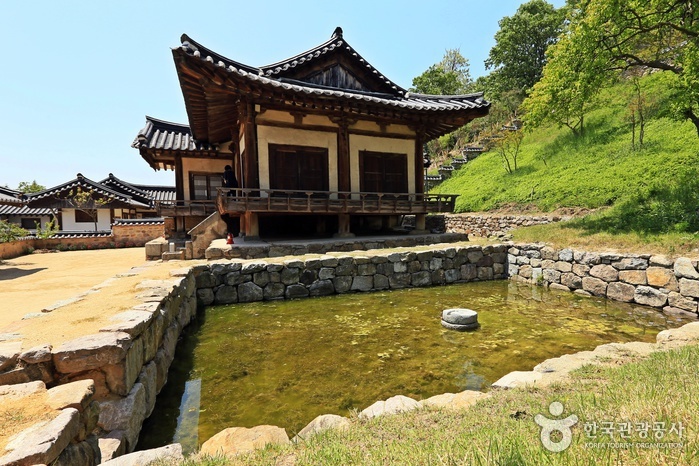 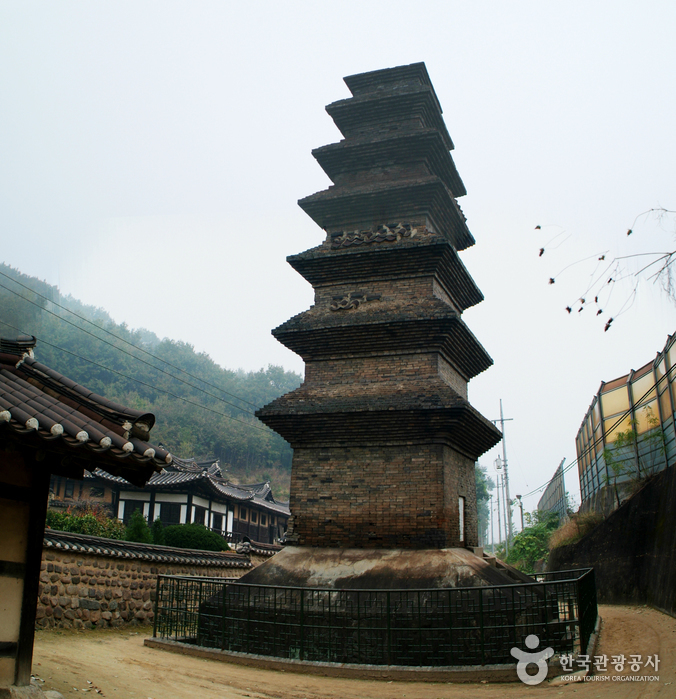 The pagoda is presently located on the estate of the head house of the Goseong Lee family. 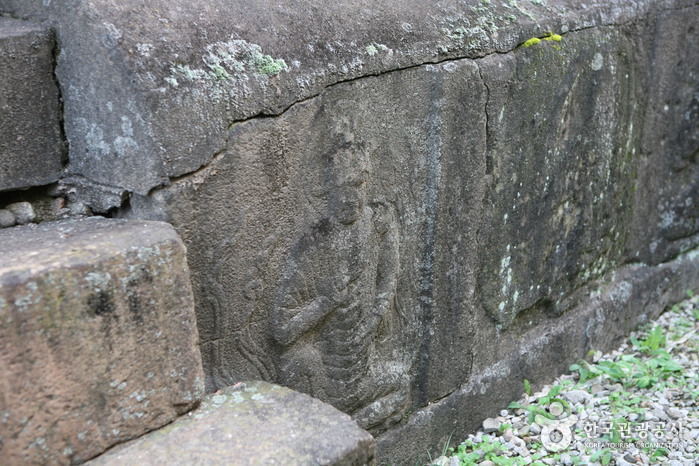 The sangryunbu, the ornamental top portion of the pagoda, has been totally lost, but the lower tiered portions are intact with beautiful carvings of Buddhist tutelary deity. 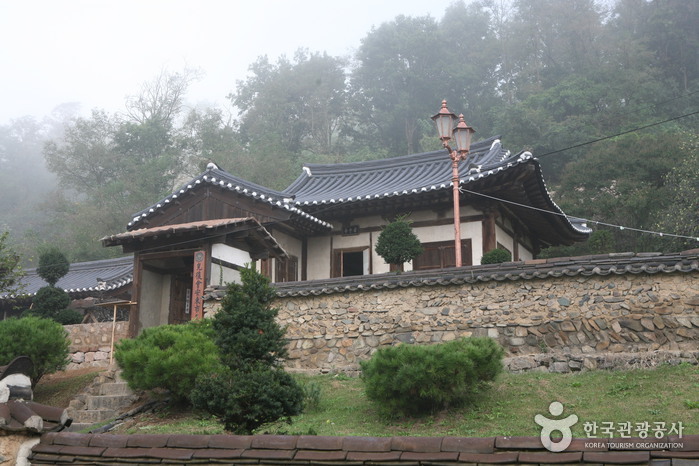 Traces of tiled roof were found on each story of the tower. 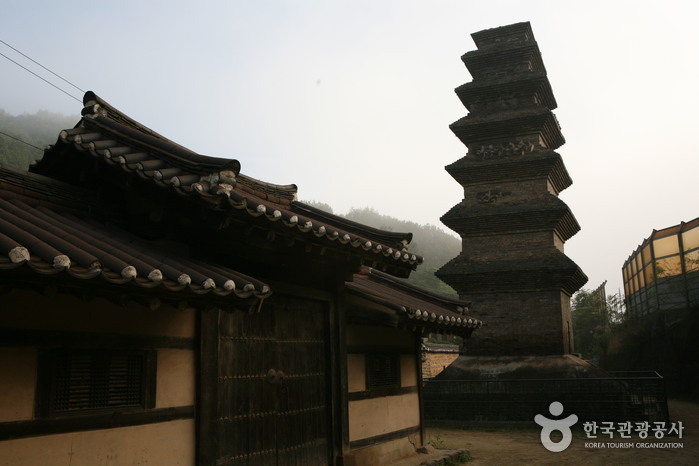 Historical records show that the tower was rebuilt in 1487 and that around the same period, three parts of the temple remained. 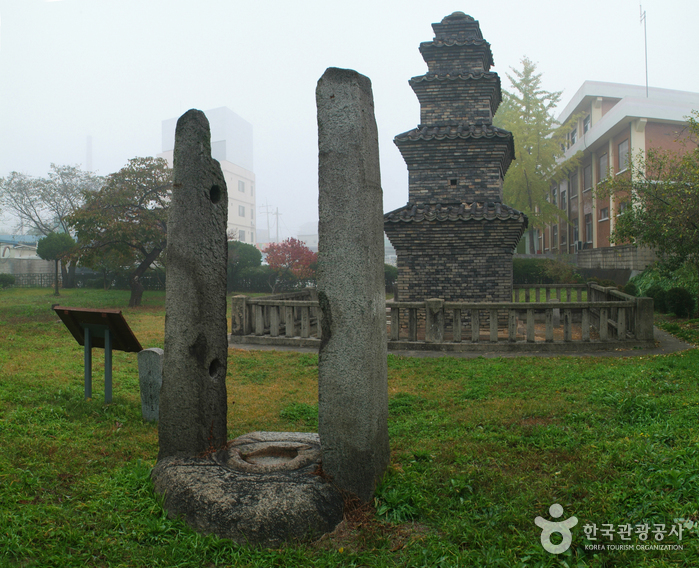 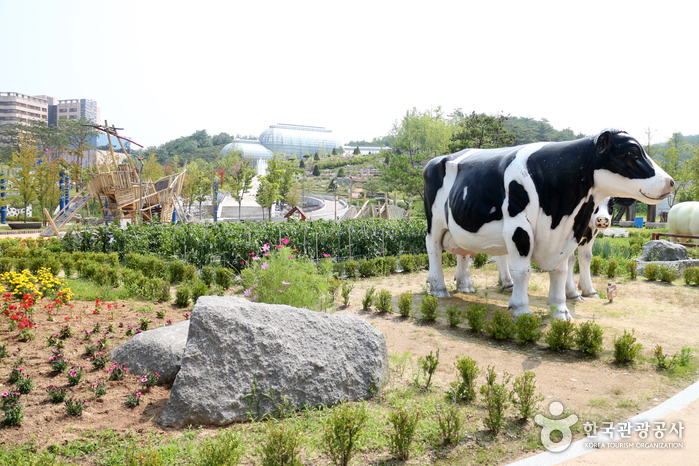 From Andong Bus Terminal, cross the road and then take Bus 1, 2 or 11 to Ujeong Plaza (우정프라자앞) bus stop. 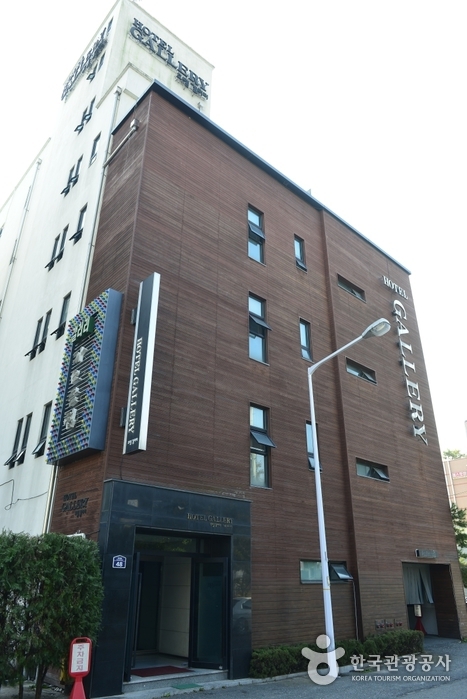 Go toward City Hall (시청) for 500m. 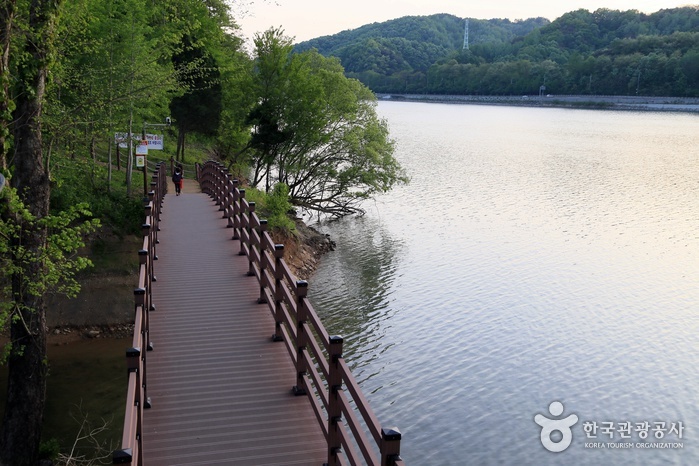 Turn right after crossing a bridge and then go for 100m. 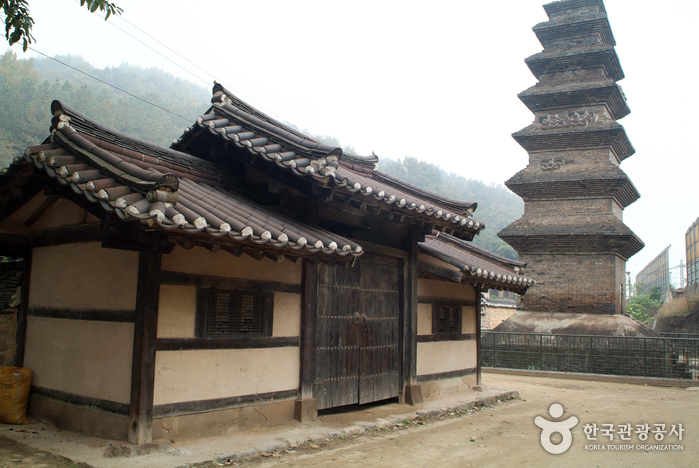 Sinsedong 7-story Brick Pagoda (신세동7층전탑) is on the left side.